Most parents love their children and want what is best for them now and in the future. However, concern and anxiety may arise when a couple is in the process of divorcing and child custody and support become key issues. Parents who are not married may also have sensitive child custody issues when trying to establish custody and visitation. Missouri law focuses on the “best interests of the child” when determining child custody matters. Many factors are considered when making this determination including: (a) The wishes of the child’s parents as to child custody, (b) the importance of the child’s relationship with each parent (Now more and more courts in Missouri and Illinois are in favor of joint custody. 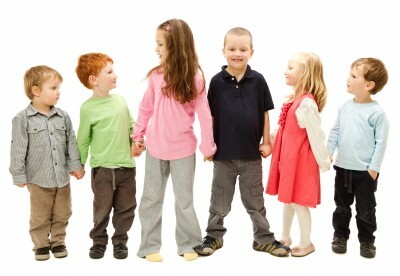 ), (c) the child’s relationship with siblings and other individuals important in the child’s life, (d) the child’s connection and adjustment to their home, school and community, (e) the mental and physical health of everyone involved, and (f) the child’s wishes if they are old enough to express them. Courts make determinations such as physical and legal custody. Physical custody refers to where the child lives. The parent who the child resides with most is referred to as the custodial parent. The other parent who has visitation with the child is called the non-custodial parent. In cases where there is joint physical custody, the court may designate a primary residence for the child for school and medical purposes. Legal custody refers to the power to make important decisions in the child’s upbringing such as education, healthcare, and religion. Generally speaking, both parents usually share joint legal custody unless there are special concerns such as abuse, alcohol or drug use, or mental stability. Because every case is unique, it is best to consult an attorney on such important legal matters such as child custody, support, and visitation. Stange Law Firm, PC is a family law focused firm; that means we exclusively deal with family law issues in detail unlike other general practice firms. Our attorneys are experienced and know the law and how it relates to the best interest of your child. The attorneys at Stange Law Firm, PC are dedicated to bringing stability back to fractured families involving divorce, separation, and paternity issues. Our firm offers a free one-hour consultation to personally meet with you and discuss your family law needs. Call us today at 314-963-4700 or contact us at St. Louis MO Child Custody Lawyers.